"Irritationen sind die Grundlage von Veränderung!" There is a lot of talk about „differential learning“ (DL) on this blog. There are now numerous studies and testimonials that this approach to motor learning has advantages over technology-based learning: more effective, more sustainable, more stress-resistant, more creative. In the DL, no specifications are made about the „correct technology“. Therefore, in tennis training, we also speak of „developing technology“ and no longer „learning and teaching technology“. By constantly varying the task, as many possible solutions as possible for the impact technique to be developed should be offered. 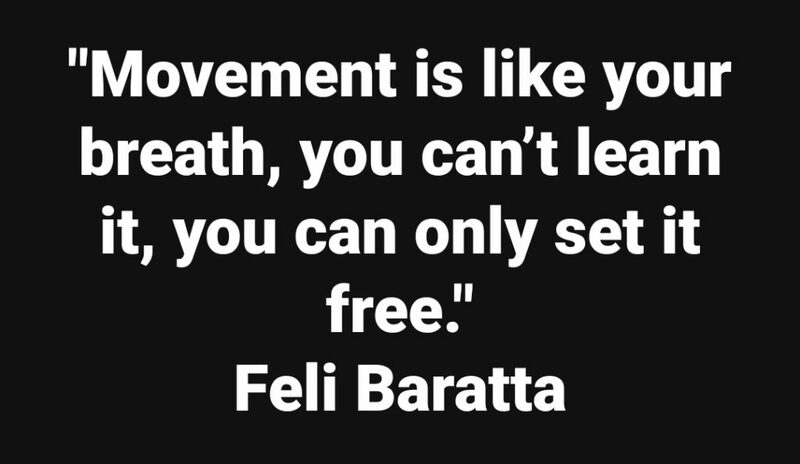 There are even offered movements that are actually outside the known solution space („error“). 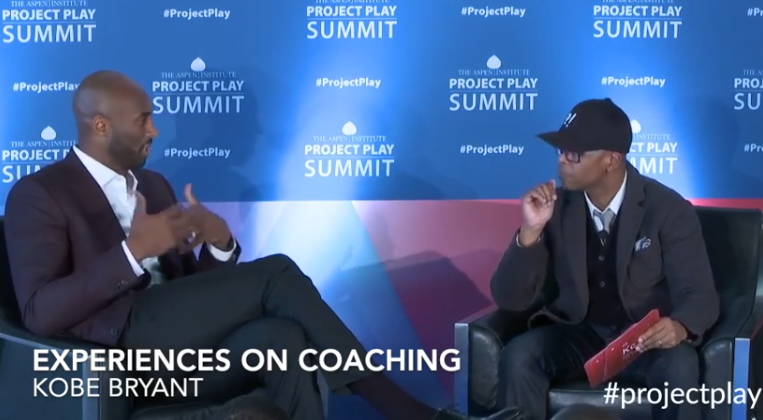 From this broad spectrum, players seek out the appropriate individual movement solutions. This movement solution is not explicitly specified, as in traditional technology lessons. 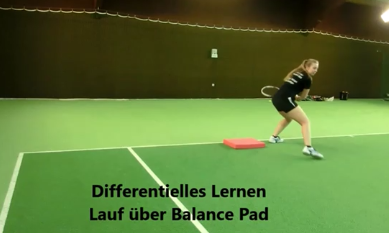 It is therefore a special phenomenon for players who have developed their technique in DL, that they can not describe their movement, their individual technique, as a rule. They act, colloquially expressed, „intuitively“. 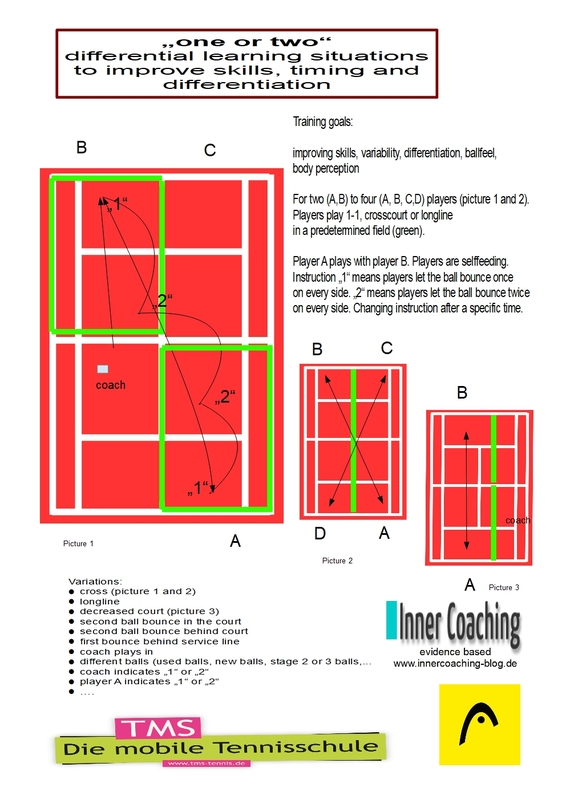 These movement tasks can be offered in drills (throw, play out of basket or play with the partner). Of course, they are also part of games. Because of the demonstrable advantages of playful and close-to-the-game learning, the DL should also be installed as often as possible in game forms. Auf diesem Blog ist viel von „Differentiellem Lernen“(DL) die Rede. Es gibt mittlerweile zahlreiche Studien und Erfahrungsberichte, dass dieser Zugang zum motorischen Lernen Vorteile gegenüber einem technikorientierten Lernen hat: effektiver, nachhaltiger, stressresistenter, kreativer. Im DL werden keine Vorgaben über die „richtige Technik“ gemacht. 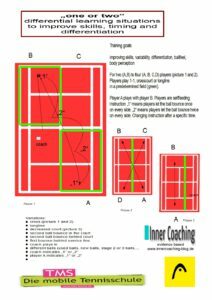 Wir reden deshalb im Tennistraining auch von „Technik entwickeln“ und nicht mehr von „Technik lernen und lehren“. There is a very exciting discussion in the Facebook Group Tennis.Haus about the review on studies about the game-based approach (GBA). This ranges from full approval to the GBA to the defense of the technology-oriented approach. Striking are in the debate but the nuances. After that, that’s just good for the athletes, what works. Even if scientific knowledge is completely neglected. I am very divided. 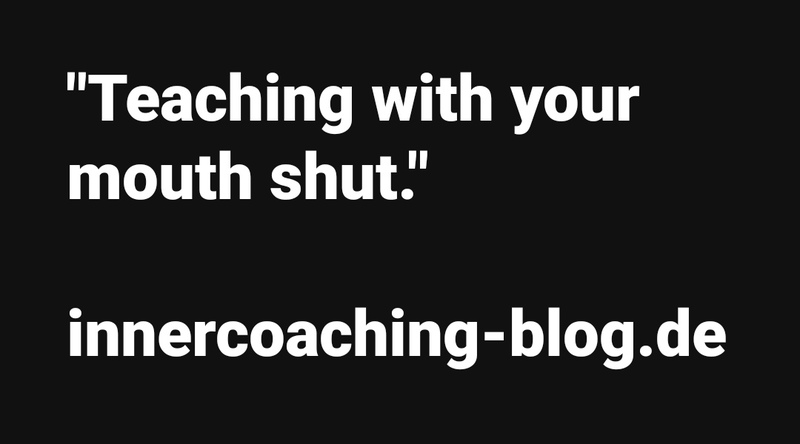 It certainly seems presumptuous to question the training practice of successful coaches. On the other hand, I am aware that numerous factors are responsible for the athlets success. 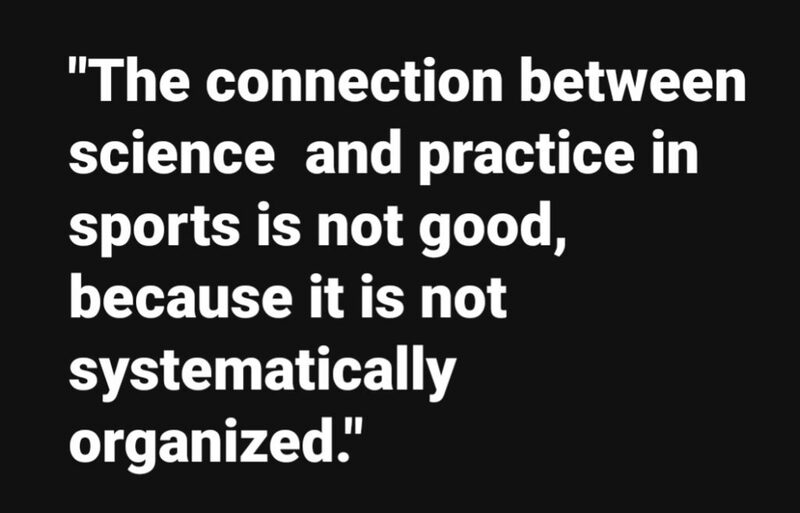 Methods and didactics of tennis training are only one component among many. But would’nt it be more responsible to the players, if such successful coaches would coach to their obvious strengths even more evidence-based? The following is my answer on the discussion on Tennis.Haus.